Share a festive holiday meal with your church family as well as invite your family and friends to join us for a holiday meal with all of the trimmings. Get ready for the Christmas season. 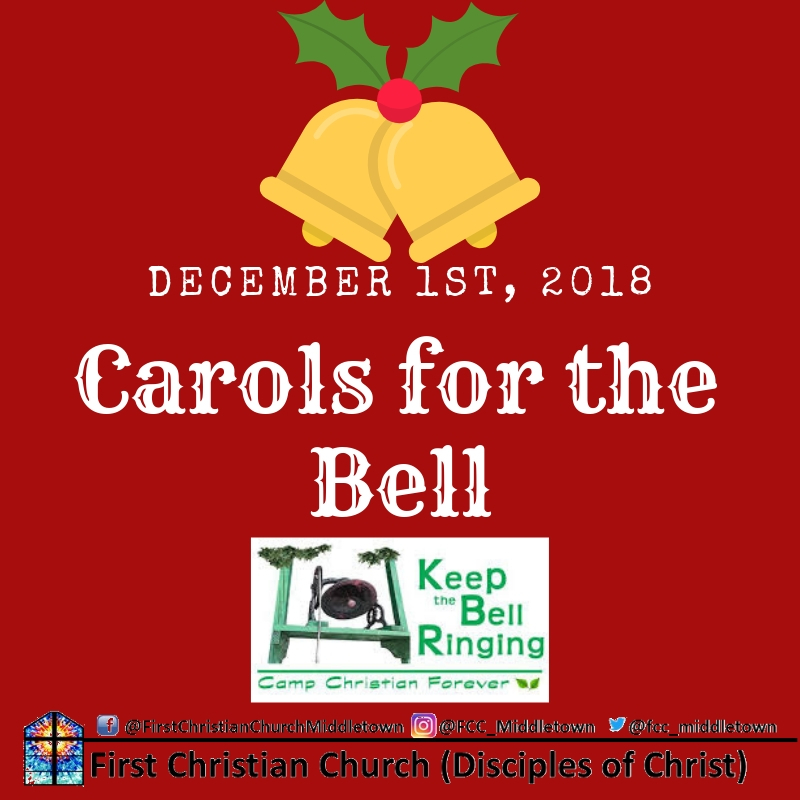 Dinner will be served family style at 6:00 p.m.
All proceeds go to the Keep the Bell Ringing Campain to pay off the Mortgage on Camp Christian operated by the Christian Church in Ohio. Large family price negotiable. Do not let price keep you from joining us. Meal will be served family style. To Buy Tickets online, Click the Link below.